The resolution was passed on Friday by the committee, which is tasked with tackling social and humanitarian issues and human rights abuses, by 115 votes against three, with 55 nations abstaining, Tass news agency reported. The document voiced concern over the rise of racism-driven crimes around the world and the influence that parties with extremist agendas are gaining. It called for a universal adoption of the International Convention on the Elimination of All Forms of Racial Discrimination. Many nations including the US, the UK, China and India, signed the convention but did not recognize a mechanism resolving individual complaints it establishes, which makes the convention unenforceable in their jurisdictions. The resolution also decried attempts to whitewash Nazi collaborators by depicting them as fighters of nationalist resistance movements and honoring them as such. It condemned any form of denial of Nazi war crimes, including the Jewish Holocaust. Russia, which submitted the draft resolution, said it regretted that it could not be adopted anonymously. “The fact that the US, Canada and Ukraine voted against, while delegations from EU member states abstained in the vote on this draft resolution, which was supported by an overwhelming majority of the UN member states, is extremely regrettable,” the Russian Foreign Ministry said in a statement. “Ukraine’s position is particularly dispiriting and alarming. One can hardly understand how a country, the people of which suffered their full share of the horrors of Nazism and contributed significantly to our common victory against it, can vote against a resolution condemning its glorification,” the ministry said. Moscow proposes similar documents to the UN General Assembly annually, but the US and Canada have consistently voted against them. Ukraine is a new nation among the opponents, as in previous years it has abstained. 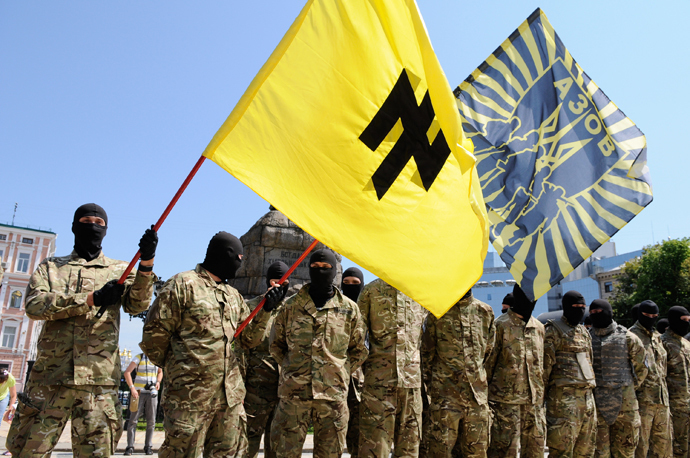 Kiev’s representative at the session, Andrey Tsymbalyuk, said that while Ukraine did condemn Nazism and neo-Nazism, it could not endorse the Russian resolution, because it suffered not only from Nazism, but also from Stalinism in the past. “As long as Stalinism and neo-Stalinism are not condemned as strongly as Nazism, neo-Nazism and other forms of hatred, Ukraine would not be able to back this document,” the diplomat said. 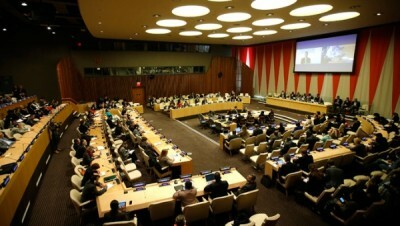 The resolution is to be formally adopted by the UN General Assembly as a body in December.